As fall approaches and children, teens and college students head back to school, consider what continued education could do for you. Even if you think an un-pursued interest of yours—interior design, writing, graphics—has nothing to do with your current work, dedicating time to learning a new skill fosters so much more than what appears on the surface. The very pursuit of knowledge can lead to improved health and overall happiness. At Black Mountain Software, we believe in the continued effort to sharpen the brain through sustained learning. That’s why we offer a series of courses and publish educational information throughout the year to help our clients gain new skills and create understanding of topics related to technology, accounting, and human resources (check out our Event Calendar). If you’ve ever felt like you can do more with your intelligence, that’s because you can! 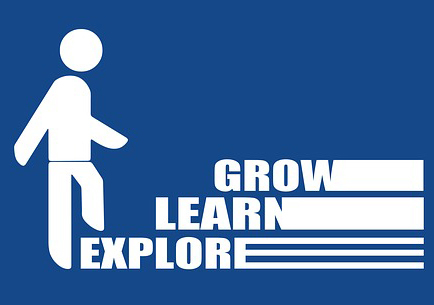 There’s never a maximum potential if you are constantly seeking new skills to learn. Ask yourself: what have I been wanting to get involved in? How will it directly help my career? The answer might not be obvious at first, but give it a go anyway! Odds are, you’re benefiting your close circle by becoming a happier person. When you’re trying to juggle work, family, school, and hobbies, you are more in tune with the needs of others who are trying to do the same thing. We all want to accomplish what makes our family and us happy, but your pursuit in doing so transforms you into a cheerleader for others. Testing your limits helps you to recognize when others are being tested, too. Chances are, you’ll find your own cheerleader in this process, too. The world is constantly changing, but the good news is that seeking continued educational environments means you’re keeping up! Learning new skills or subjects guarantees new perspectives to adopt, giving you the opportunity to evolve and grow within the new community you have joined. Online programs allow you to connect virtually with others to develop skills that inspire you to do more in life. Making virtual connections is just as valuable as making in-person acquaintances at the office or at a conference. These people often have information you don’t, and potentially calling upon them in the future will be an asset to you. If you’re looking for a direct way to boost your pay or personal assets in your current career, completing a certification program or earning a license can service that process. Doing a basic search for programs online often reveals 6-month to 12-month programs you can complete locally or even online! Let’s say you want to switch careers completely, and feel like a particular license would give you an edge up on the competition—increase your value as an applicant! So when you catch yourself eyeing a new program being offered in your area, or feel the need to do something different with your time, just go for it! The results are sure to keep you growing, sharp, happier and more valuable at both work and home. This entry was posted in Back to School Tips, Best Practices, Latest News, Technology, Uncategorized. Bookmark the permalink. Follow any comments here with the RSS feed for this post. Post a comment or leave a trackback: Trackback URL.